We at SquareBall Marketing have came across different clients who have enormous amounts of help in marketing, branding, advertising advice, strategic business planning, etc. No company that has been establish for some time, obtains this many concerns out of the blue. Most problems in business are known fairly early. Running a business is similar to maintaining a car. Many of us will drive our car until the oil light comes on, gas light come on, tire goes flat, and paint begins to rust. BAD IDEA. Any car will last you as long as you constantly monitor and address the problem areas. Otherwise the whole thing will fall apart. Excuse that long analogy but it is the same thing with business. Does your company have a problem promoting products, getting people to the event/store front/website, or finding investors? Don’t just continue with bad practices. Swallow your pride and seek help before it all falls apart. We at SquareBall have been there before with other clients. We have no problem coming to the aide of those who need total revamping in their marketing strategies. However, you can do your business a favor and ask for help early before the problems become severe. You are an expert in your field, but…..We Know Marketing! 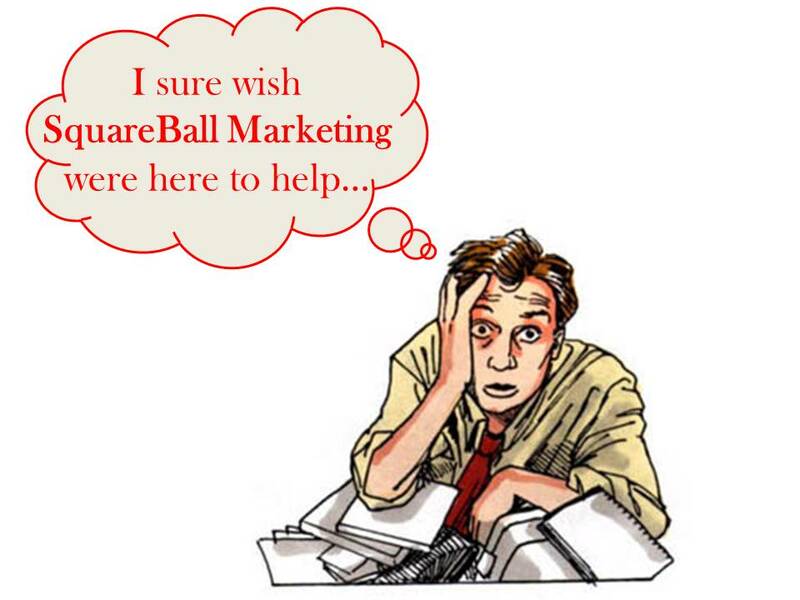 Like us on Facebook or email us at info@squareballmarketing.com to get help with your marketing needs. Thanks for reading Admit you need help.